Over one billion salon applications prove that Resque is the most versatile and complete Styling Lotion ever formulated. A precise balance of high tech styling, strengthening and protective ingredients will shape, style, sculpt or set hair to achieve any look. Fortified with nourishing Panthenol and Whole Wheat Protein. 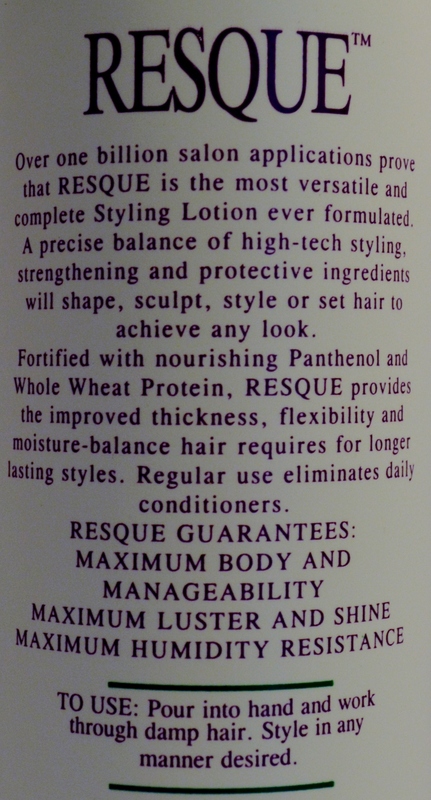 Resque Provides the improved thickness, flexibility and moisture balance hair requires for longer lasting styles. Regular use eliminates daily conditioners. Resque guarantees maximum body and manageability. Maximum luster and shine. Maximum humidity resistance. Rescue your hair.